The British Hops T-Towel in now available. Love craft beer, love British hops, or simply looking for a gift or a little something unusual for the home-brewer in your life? Are you a micro-pub selling craft beers which use lots of British hops? Could this be the t-towel for polishing up your glasses? 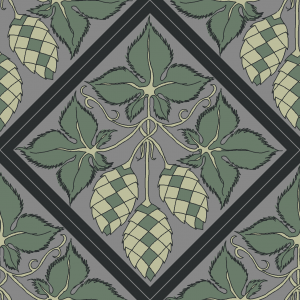 Then look no further AND you can help the British Hop industry too! Designed by A Bushel of Hops, The British Hops T-Towel names 94 British hop varieties…. but better than that…. 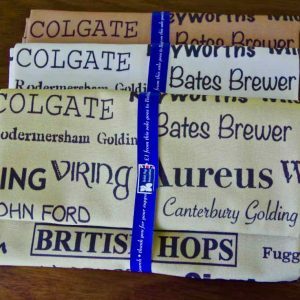 £1 from the sale of each t-towel will be donated to support the research work done by Wye Hops Ltd on behalf of the whole British hop industry. 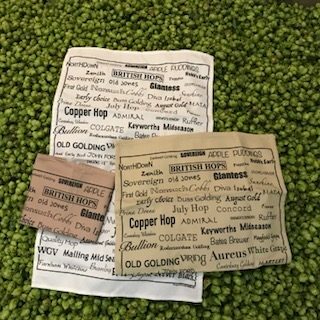 The British Hops T-Towel is available in pale green, white or old linen and all have black text. 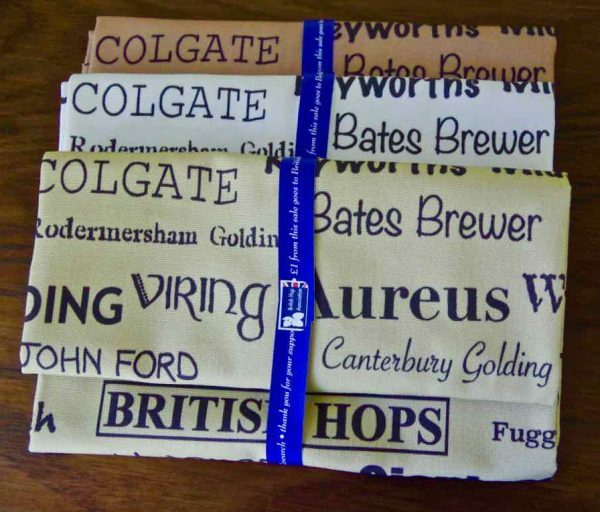 They are designed, printed and made in England and are 100% cotton. Trade enquires welcome, minimum order of 15, contact us for prices and postage. 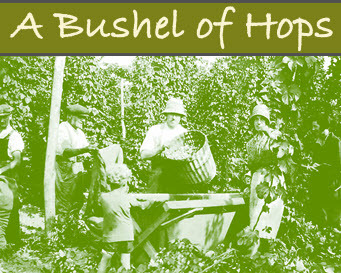 A Bushel of Hops would like to thank Peter Darby not only for his dedication to British Hop research, but his vast knowledge of British Hops which he is so willing to share. Importantly for his support of the small brewer, home-brew groups and the little grower. This t-towel is in acknowledgement and gratitude for his support.